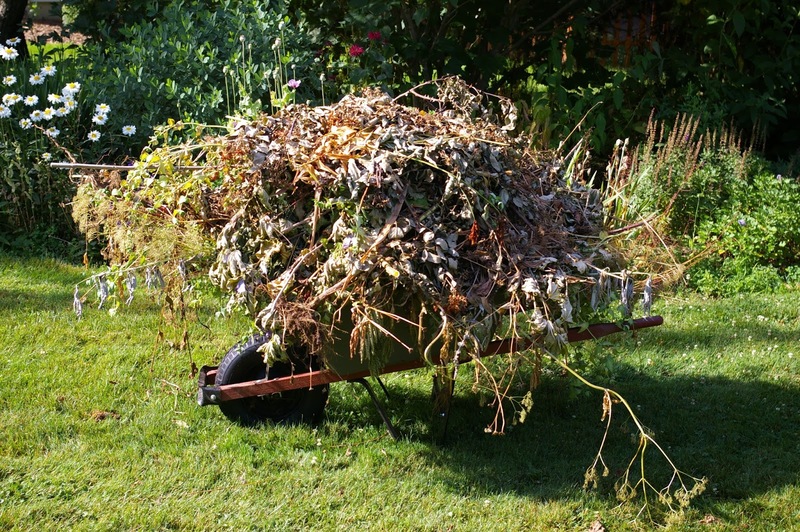 I have filled up 5-gallon buckets, wheelbarrows, the ATV trailer over and over and over again with weeds – large and small, Johnson grass, Johnny-Jump-Ups, lemon balm, mint and cilantro that have gone rogue. Not mine, but a woefully familiar sight. My Wonderful Helper who schedules me into his university class schedule and summer job on campus has done the same. He has, at my request, sprayed herbicide – don’t judge me, this is WAR. Even that is not a permanent solution. Family and friends know that when they come for a visit in the summer, weed pullin’ is on the agenda. I – we – get one of the garden beds cleared (there are more than 20), I plant vegetables, flowers, occasionally shrubs, and before the next one is cleared, the one before has rebounded and needs cleaning up again. We mulch. That helps, but the combination of rain and sun this year appears to be ideal for growing a crop of relentlessly strong and resilient weeds. The vegetables, flowers and shrubs? I could only wish they are as relentlessly strong and resilient. When I want to install new plants, or seeds, I have to first clear the weeds so that by the time I’ve prepped the bed, I’m spent and sweat is running into my eyes because, yeah, the humidity is right there at 80-100%. If it isn’t raining, it’s about to so the air feels like a wet sponge. My Wonderful Helper recommended a new tool to me this week. I think he’s getting a little desperate about this, too. I found one that very day at Lowe’s and couldn’t wait to use it! It works wonderfully well, and it’s easy to use, but I’m certain its effects are temporary. Still, it’s shockingly satisfying to decapitate the weeds and the near-instant result is pleasing. Minimal raking and smoothing is required to collect the weed carcasses. The main benefit of my new toy is that I can attack the weeds from a mostly upright position. Sigh…gotta go. Just spotted Japanese beetles on my hibiscus. Seriously, I don’t know your particular struggle. But, the next time I get to enjoy the fruits of your labors I will try to keep it in mind and give thanks that some of the plants didn’t succumb to the demon weeds and made it out “alive”. I am not a gardener, but I really like gardens – other people’s gardens. I can’t even begin to imagine what it would be like to have 20 garden beds – makes me break out in a cold sweat just thinking about it. I have trouble keeping my few potted plants under control. Good luck! You’ve no idea how many times I think, “What was I thinking? !” But when it’s tidy and producing, there are few things more satisfying. Just came in from 2 solid hours of weeding after a day of “in the office”. When I first got out there it was “oh so peaceful, love the sounds of the birds, listen to the chickens. After three rows of carefully extracting weeds from around the sweet potatoes and two of the three pepper beds, my enthusiasm for nature was beginning to ebb. Then on to the herb garden (which I had just thoroughly cleaned less than a week ago); then on to the asparagus and the onions. At hour 2, all I wanted was to get into the house, enjoy a cool shower and collapse in my chair with a sparkling drink and a book. The lure of fresh veggies and a beautiful garden just keep calling me back with their siren song. Only to be repeated tomorrow, and the next day and the next……. And P.S. I purchased one of those weed guillotines a few weeks ago. The instant gratification of seeing those weeds lose their heads is soon replaced by new “headless” sprouts that soon turn into wicked little monsters with an even sturdier root base!!!! Sorry to be the bearer of bad tidings! Is it possible a person like me could obtain a CD (or whatever it is) of the “Anti Garden Song”? I could use this in Master Gardeners. Leave a reply on "Weeds!"